Penny Singer is settling in for the duration. The mini-fridge is stocked, her studio is meticulously organized and the radio is going. It’s 10 days before the Santa Fe Indian Market. Singer, who is Diné, is one of hundreds of artists prepping for one of the most prestigious North American indigenous art shows in the country. 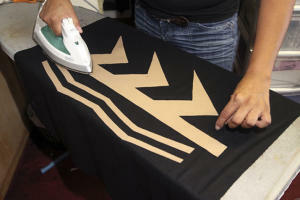 Singer is among a group of American Indian designers whose influence is growing in the mainstream fashion world. 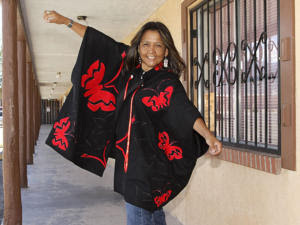 She anticipates selling all the jackets, bags and shirts in her small Albuquerque studio at the market, even in the recession, because of her loyal client base. Singer incorporates images of corn stalks, mountains and goats onto her textiles of velvet, wool and cotton. “I’m bringing Native clothing into a contemporary market to where it’s worn, where it’s wearable art,” she said. Interest in indigenous design manifests itself regularly on the world’s fashion runways, but American Indian designers are doing more these days than inspiring the Ralph Laurens of the world. They are carving out reputations with styles drawn from their own traditions and larger cultural influences. At least three Native designers participated in New York Fashion Week in 2009: Dorothy Grant (Haida), Virgil Ortiz (Cochiti Pueblo) and Patricia Michaels (Taos Pueblo). Ortiz is also collaborating with mainstream fashion mogul Donna Karan. He will launch a carpet line called Indigenous Imprints this fall focusing on high-end and boutique hotel clients. It’s part of a huge transition taking place in American Indian art, said Shelby Tisdale, who curated two Native Couture shows at the Museum of Indian Arts and Culture in Santa Fe last year. But the definition of “Native art” is always evolving, she added. Fashion is a form of communication, said Jessica Metcalfe, and American Indian designers are continuing to tell their stories. 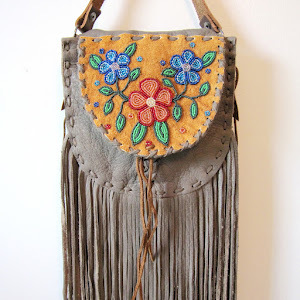 Metcalfe is an academic whose blog, Beyond Buckskin, explores American Indian fashion design. “It’s also an awesome way of doing cross-cultural education, because people love to go to fashion shows,” she added. The interest in American Indian design probably started at first contact with the Europeans, she said. But many mark the 1940s as the beginning of contemporary American Indian fashion. Couturiers including Lloyd Kiva New, who opened a boutique in Scottsdale, Ariz., in 1946, began designing clothing for regional and national markets. 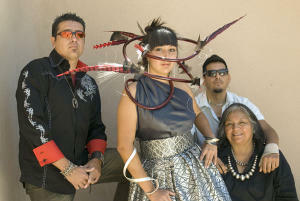 New helped found the Institute of American Indian Arts in Santa Fe, where many designers studied. Teachers like Kimberley “Wendy” Ponca (Osage) encouraged students to experiment with different fabrics and designs, Tisdale said. That’s where Pilar Agoyo discovered textiles. Agoyo (Ohkay Owingeh/Cochiti/Kewa pueblos) is a regular at the Indian Market clothing contest. She calls her style “rock goth punk and a little risqué.” Many of her works feature leather and vinyl. Agoyo was raised in a family of pottery artists, and some of her designs are reminiscent of pottery. Then again, some are just fun, like the dress she made out of Pokemon cards. Metcalfe speaks enthusiastically about a dress with huge silver wings that Agoyo had in a show earlier this year. Her work sells for between $60 and $2,000. The jewelry of the Tsosie-Gaussoin family has long been featured on fashion runways, but the artists are now branching into clothing design. Their “Axiom” show, opening at the Poeh Museum before Indian Market, will feature several dresses designed by brothers Wayne Nez and David and their sister, Tazbah. David said they wanted to better accentuate their very nontraditional jewelry, such as a necklace made of steel pipe. That freedom is what drew Patricia Michaels to fashion design. She uses natural fibers, especially silk, to express a passion for nature. Michaels has couture pieces that can cost as much as $10,000. But the recession has prompted her to do more accessories, like scarves, that are more likely to sell when people have less to spend. Virgil Ortiz is among the most sought-after American Indian designers these days. His stated goal is to “take Native fashion to the next level,” and many say that’s exactly what he’s doing. 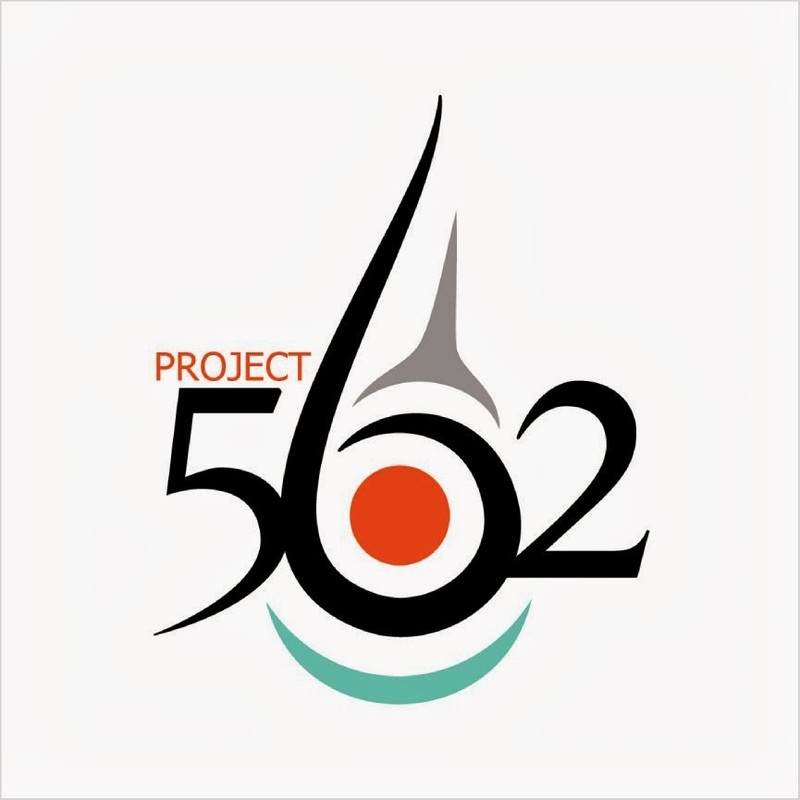 “He pushes the envelope and is always reinventing himself,” said Jamie Way of Shiprock Santa Fe gallery, which will host an opening for Ortiz’s new pottery work, based on the Pueblo Revolt of 1680, just before Indian Market. Through his line, Indigene, Ortiz creates luxury handbags, accessories, cashmere, T-shirts and outerwear with his signature designs of water, sun, wild spinach and what he calls “secret writing.” Like Agoyo, he is launching a line of T-shirts. Metcalfe sees that as part of artists’ desire to expand price points so more people, particularly American Indians, can buy their designs. 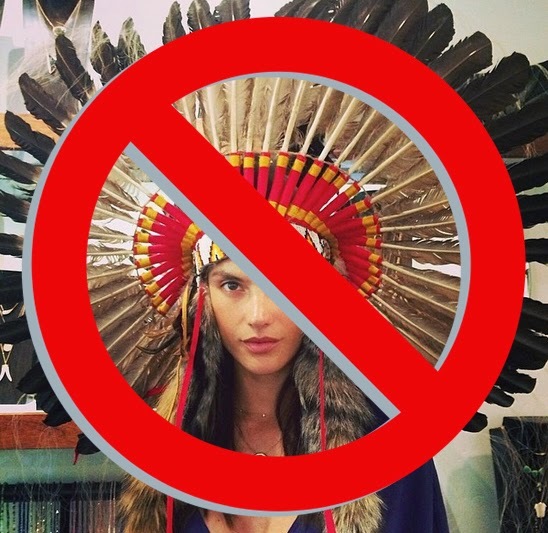 If Isaac Mizrahi can create lines for Target, are Native or indigenous designers far behind?